7 stock photos, vectors, and illustrations are available royalty-free. MOSCOW - NOVEMBER 2: Paris Hilton visits "June" shopping mall near Moscow to unveil her walk of fame star, as she is greeted by hundreds of Russian fans on November 2, 2013 in Mytishchi. 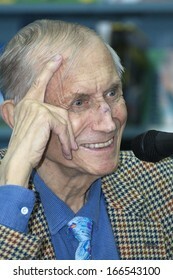 MOSCOW - JANUARY 10: Russian poet Yevgeny Yevtushenko meets his readers to present his new book as he approaches his 80th birthday, on January 10, 2013 in Moscow. 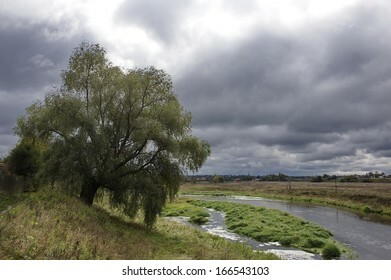 A view of the outskirts of Mozhaysk, a city in the Moscow Region. A particular time of day is captured, as the sunlight suddenly breaks through the clouds for several seconds. 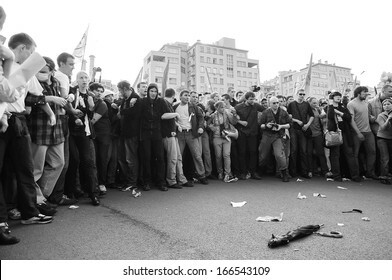 MOSCOW - MAY 6: Russian protesters in standoff with police during "March of the Millions" which turned into the biggest clash with police in Russia's contemporary history, on May 6, 2012 in Moscow. 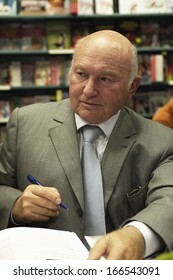 MOSCOW - SEPTEMBER 10: Former mayor of Moscow Yury Luzhkov signs copies of books about Moscow mayors, written by Nadezhda Polunina, in the Moscow House of Books on September 10, 2013 in Moscow. 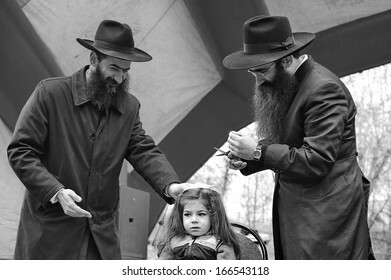 MOSCOW - APRIL 28: men prepare to finally cut the boy's hair on his third birthday during Lag ba-'Omer, a minor Jewish observance, on April 28, 2013 in Moscow.